Johnny and I had such a fun time over President’s Day weekend, frolicking about in nature and feeling sun on our translucently white skin. It made us want more of the outdoors. At the beginning of the year, we tentatively planned for several mini getaways in 2014. I say “tentatively” because we had to go on one first and make sure it wasn’t a total bust with our one-year-old companion. But I think Sally loved the outdoors as much as we did, which just means she didn’t have any meltdowns. Okay, so we didn’t hit $350, but we kept it close! We didn’t account for the park entrance fee, and we weren’t expecting to rent a hiking backpack. But once we got there, we realized our Ergo wasn’t gonna cut it on a long hike. The baby backpack rental was totally worth it. Sally loved it, and, therefore, we loved it. We kept our food costs down by only eating out for dinner two nights. All the other food was brought from home, aside from half a gallon of milk that we bought for Sally once we got there. We’re excited to share our other outings as we make them happen! Do you have any mini getaways you’re planning? How do you save? It is an even better deal when you are a senior, but for $80 I already think it is a steal and worth the money to help keep our amazing parks system going..
We don’t have any mini vacations planned yet. We will probably do a quick weekend away and do Mammoth Cave again or we might go to one of the “newer” caves they recently found in the southern part of our state. Funny you mention that, because we’ve been debating getting the annual pass ever since we got back from our trip. 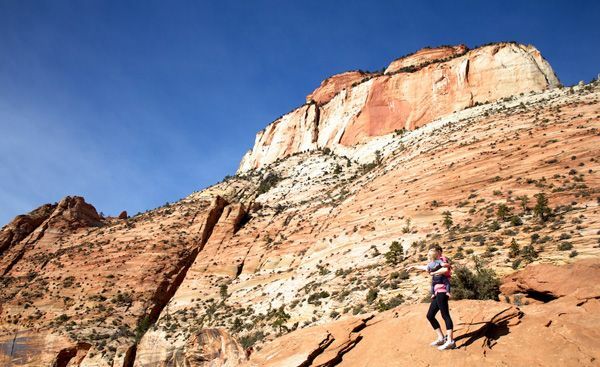 The other options we’ve considered is using the Park shuttle bus systems available in Zion and Bryce Canyon, or taking advantage of their free holiday weekends. We’re not huge fans of crowds though, and $80 seems like a small price to support our Park system. By throwing some money at it, it’d also push us to get out more and make sure we get our money’s worth. I saw the title And thought, “How did they spend so much at a National Park? ?” Oh. Hotels. Think about how much you can save if you embrace camping! Here’s our issue with camping: we have no gear and we have 14-month-old. While we plan on making the investment on camping gear over time, it’s a tough bill to swallow up front. We don’t come from camping families, so there’s no hand-me-downs or equipment to borrow. So tents, sleeping bags, backpacks, gear, etc., etc. would put us out quite a bit of dough. And did I mention that we have a 14-month-old who barely sleeps through the night in a HOTEL?! We’ll embrace the camping spirit once Sally embraces a good night sleep. 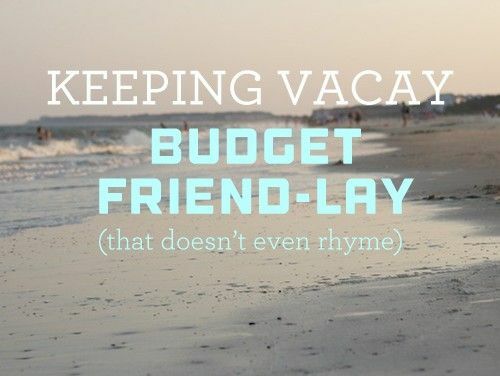 We don’t actually have a “mini” vacation planned but a pretty big one. We are heading to Guatemala in March for just over a week!! t’s the first trip in years where we aren’t raveling with our families and we could not be more excited! Guatemala is actually a very affordable place to go. We got round trip tickets for about $500 each and have found plenty of hotels for 40 US dollars a night.. Still,, we wanted to make sure we had a cushion and weren’t panicking about expenses while we were down there so we’ve been putting about 10% of every pay check into savings to make sure we had enough! Mannnnn, I’m green with jealousy right now. I’d love to go to Central America. I’d love to hear why you chose Guatemala over, say, Costa Rica. What do you have planned there? That sounds really affordable, too. I’ve never even considered the idea because a trip like that seems so expensive. 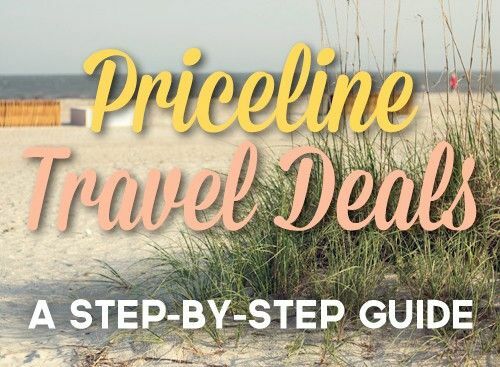 But knowing that it’s roughly the same price (if not cheaper) than a Florida beach getaway, that could be a game-changer for our future vacation planning. It’s extremely affordable! For instance, we just booked two nights at an ecological hotel right on Lake Atitlan for $45 US a night (before taxes). Guatemala was brought to our attention because one of my close girlfriends is getting married there! We thought, if we are going to head down for the wedding we might as well turn it into a vacation! We are hitting three spots (technically 4 if you count the one night we have to stay in Guatemala City because our flight is so early in the morning the next day) Antigua, Tikal, and Lake Atitlan. We return the end of March so I’ll be sharing all sorts of (I’m assuming awesome) pictures on the blog! Woahhh. I’m still stuck on the $45 a night on a freaking lake part. Can’t wait to read/see all about it. Great to know that the hotels around the area are affordable. 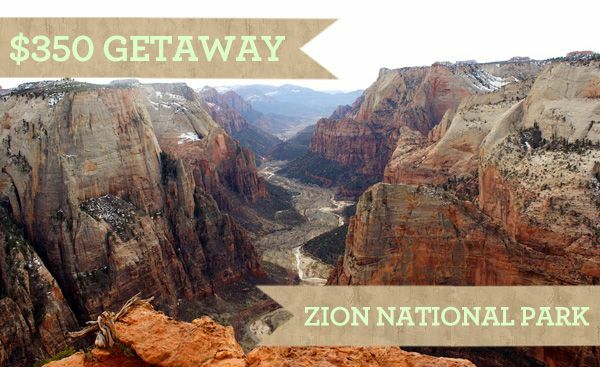 I’m hoping to visit Zion in April, but I think we’ll maybe camp a couple nights and spend a couple nights in a hotel. 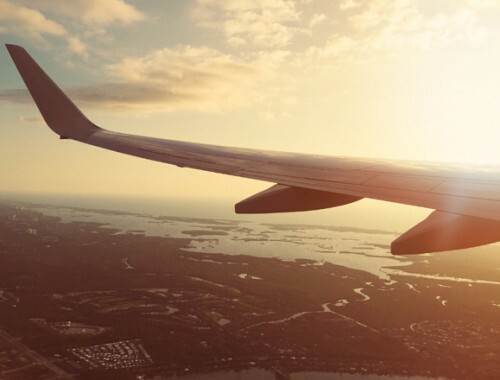 We’ll save a little more than way and be able to extend our trip. Our gas will cost a bit more, but I think it’s worth it. These photos are getting me excited about our tentative trip! Get excited! We’re already making plans to get back down there. Bryce Canyon and the North Rim of the Grand Canyon are also awesome hiking. All three, Zion, Bryce and North Rim are all so different from each other and not that far a drive. Two years ago we stayed just outside of Zion at Zion Mountain Ranch and it was not that far of a drive to get to both Bryce and the North Rim. 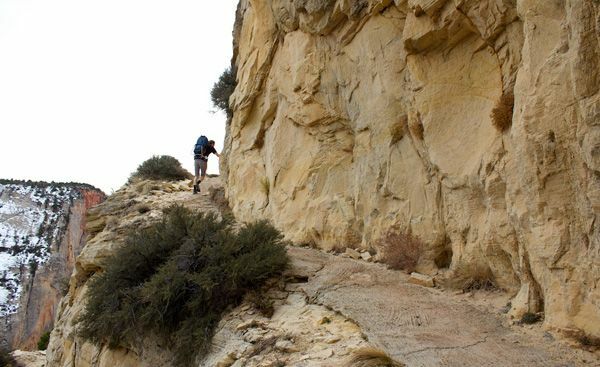 Good, fun day trips from our “home base”. Awesome! We definitely need to get down to the Grand Canyon. 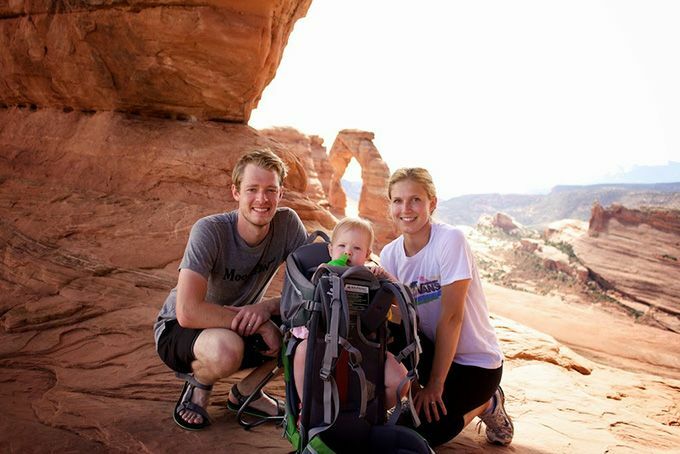 We already started looking up hikes for Bryce Canyon and they all seem very doable for our family of three. We’re hoping for a busy, sweaty summer in the great outdoors. Oh, this is gorgeous. I need to get there some day. We’ve seen a lot of what the US has got to offer, and nothing has beat Zion — yet. Add to the bucket list. My boyfriend and I are planning a weekend away for our anniversary. We are either going to go to Gatlinburg or Hocking Hill. We reside in Cincinnati, so both are not too far away. Zion looks gorgeous! I googled Hocking Hills and that place looks incredible. Enjoy your anniversa-cation!